For Whom Intended Individuals involved in a wide range of activities where GPS systems are or could be used to enhance their activities. This would include: engineering, technical, quality, product procurement and anyone who needs to become familiar with the overall GPS system and the terminology used. Brief Course Description This course provides an in-depth overview of the Global Positioning System and covers the growth of the GPS concept. Included in the course is a description of the NAVSTAR constellation and the various types of augmented GPS systems. Basic GPS components are covered, including satellites, ground stations, antennas and receivers. Emphasis is placed on signals, timing and false signals including spoofing, jamming and cryptographic concepts. 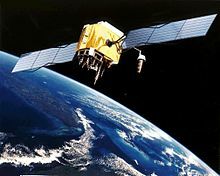 International GPS systems such as Galileo and GLONASS are discussed. Various GPS applications in transportation, oil and gas exploration, mapping, surveying and communications are discussed. The course concludes with a brief review on the future of GPS and ongoing developments in GPS technology. A useful appendix including information such as a Glossary and definitions is included in the course workbook and provides an excellent reference tool. Diploma Programs This is a recommended optional course for TTi’s Electronic Telecommunications Specialist Diploma Program and may be used as an optional course for any other TTi Diploma Program.